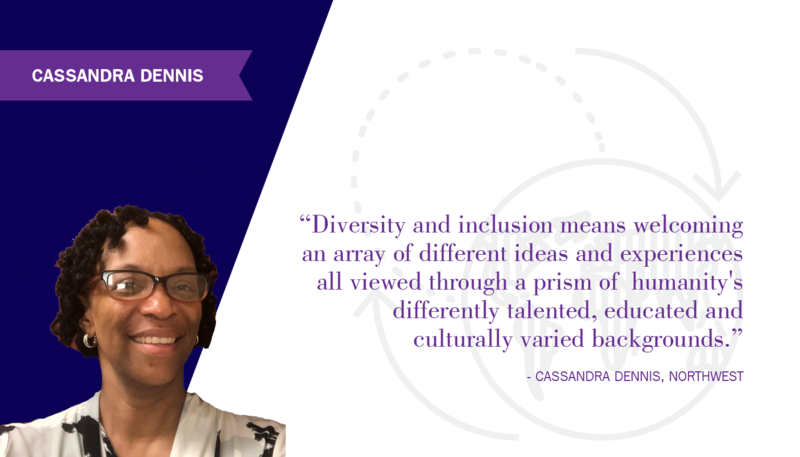 We asked employees, “what does diversity and inclusion mean to you?” and “how do you feel that your unique attributes, traits, characteristics, skills, experience and background are celebrated or valued at DPR?" 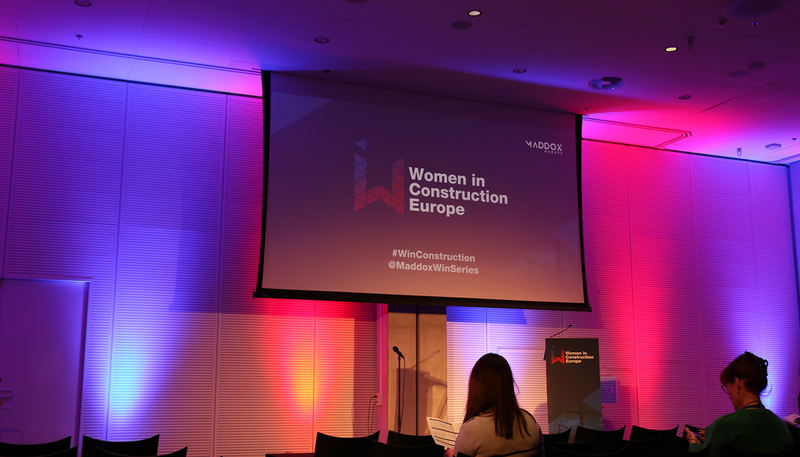 We received answers from all genders, positions, and regions of the company; all were insightful and painted a promising picture of how a more diverse and inclusive world can flourish. 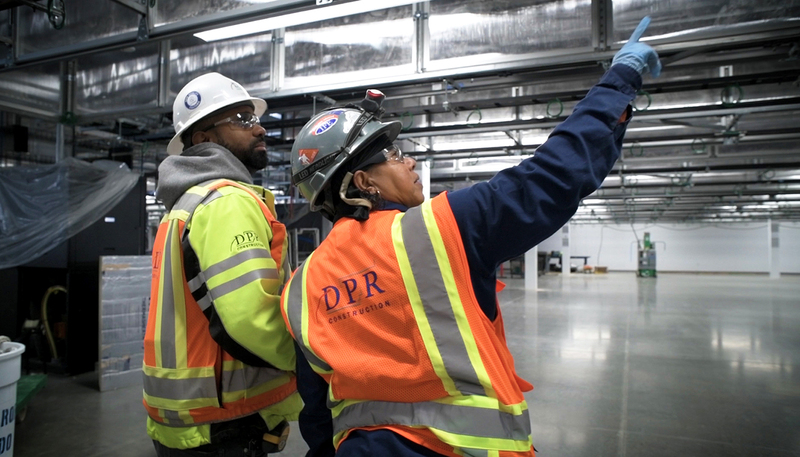 A significant contingency of DPR Construction’s self-perform work corps are laborers, who do everything from loading and unloading building materials, to building and tearing down scaffolding, to cleaning and preparing construction sites by removing possible hazards—work they perform with the core value of safety serving as a guide. 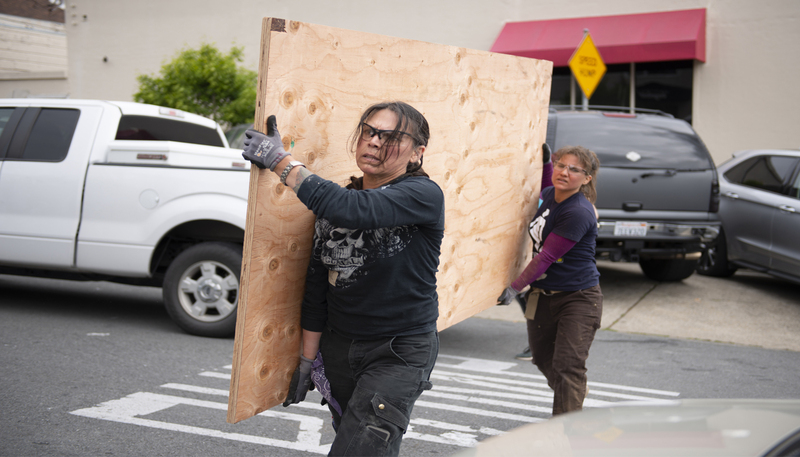 One such SPW Laborer is Annie Brown, who works out of DPR’s Richmond, Virginia office. 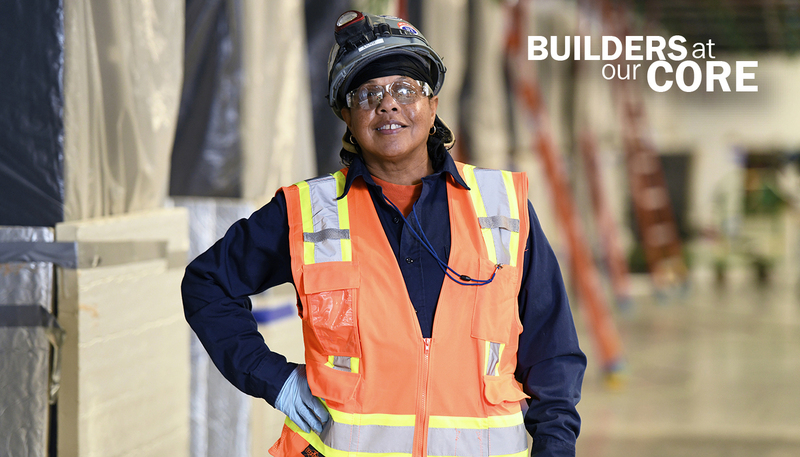 Her personal commitment to safety is informed by the belief that safety is everyone’s job, and she weaves it into everything she does. 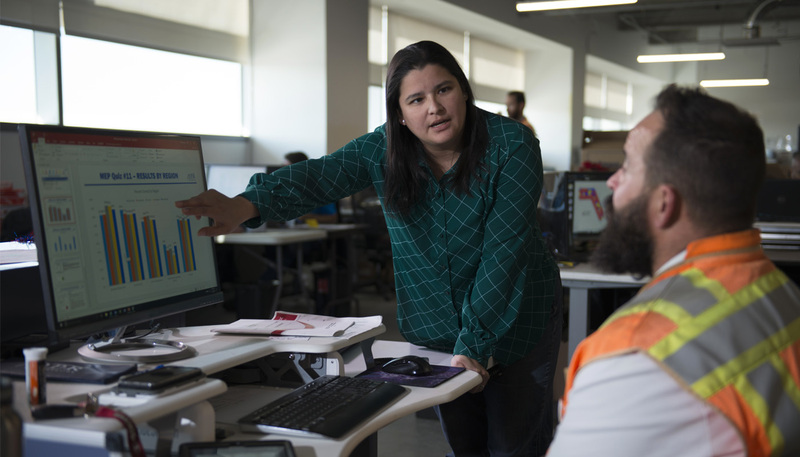 Her path has been driven by hard work and determination to “not only get the job done, but get the job done the right way.” She shared some of her insights on doing great work while keeping those around her safe on the job. Brown: I love being a part of the great things DPR has constructed and continues to. 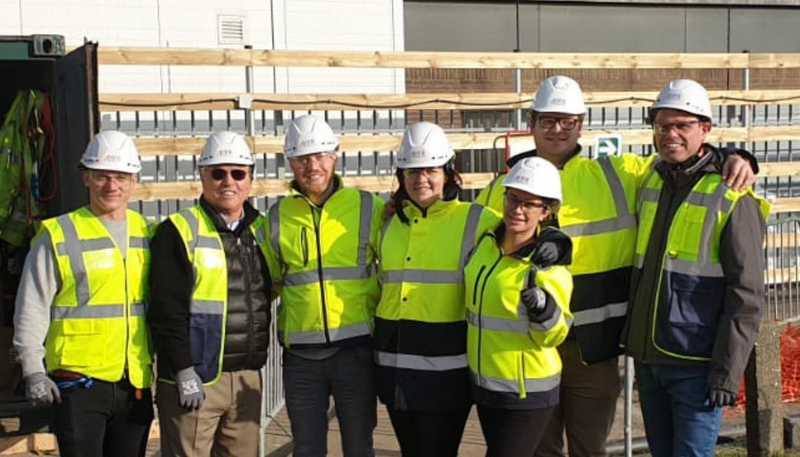 But I also love connecting with the clients and staff at our project sites. When I worked on the Virginia Commonwealth University (VCU) Health PSR Operating Room Renovation, we used to pass out ice cream to the nightshift staff. Brown: I believe every project that I’ve been on has been and is a great experience, small or large, but I loved working on the VCU Health PSR Operating Room because I was able to see the transformation from start to finish. It made me feel great that I was able to contribute to the improvement of medical services, not only for the staff, but also for the patients. 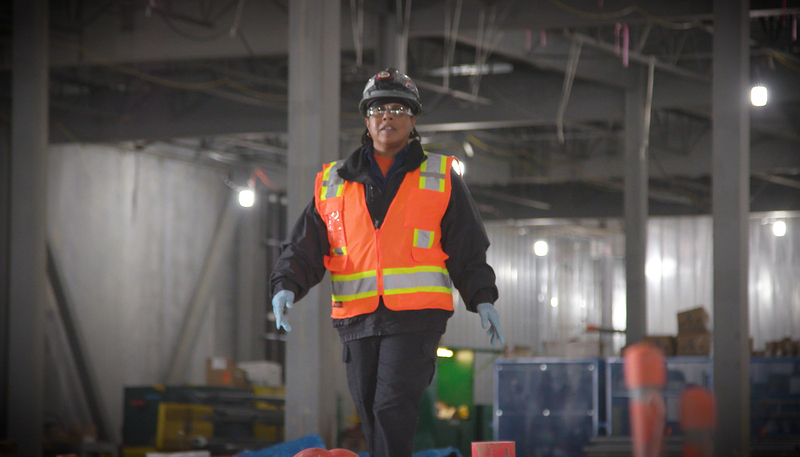 Brown: I enjoy working for a company that continuously makes me feel like part of the team. 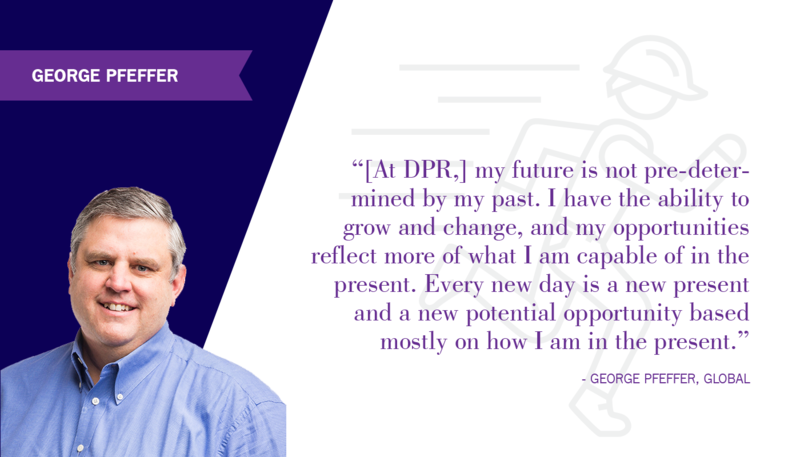 Each one of DPR’s core values has not only projected into my career but also into my personal life. I’m reliable, a team player, a hard worker and very personable. 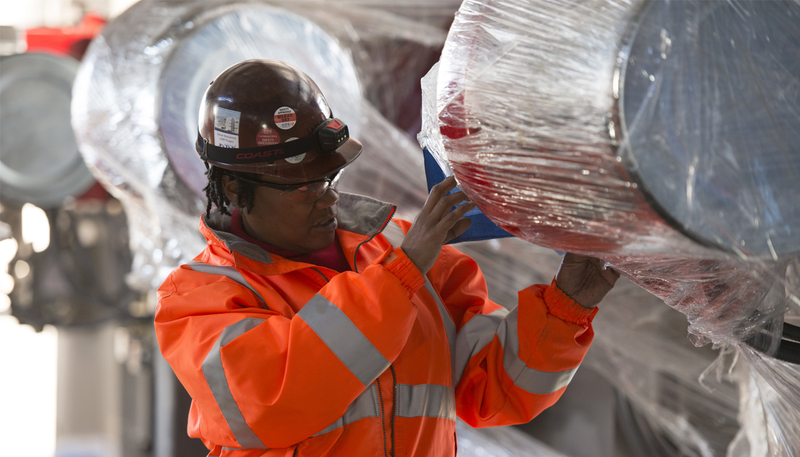 Brown: Making sure that each project has a clean and safe work environment. Because I’ve been through OSHA 10, I look out for safety. If I see someone doing something with more risk, I correct them. I say, 'Just letting you know. Just keeping you safe.' It's everybody's job. Brown: Each project has its own unique way of doing things. Each project has its own challenges. As long as you work together as a team, you can overcome those challenges. Brown: You need to work hard and be determined, but the most important thing is to be a team player. You absolutely have to work together to get the job done. 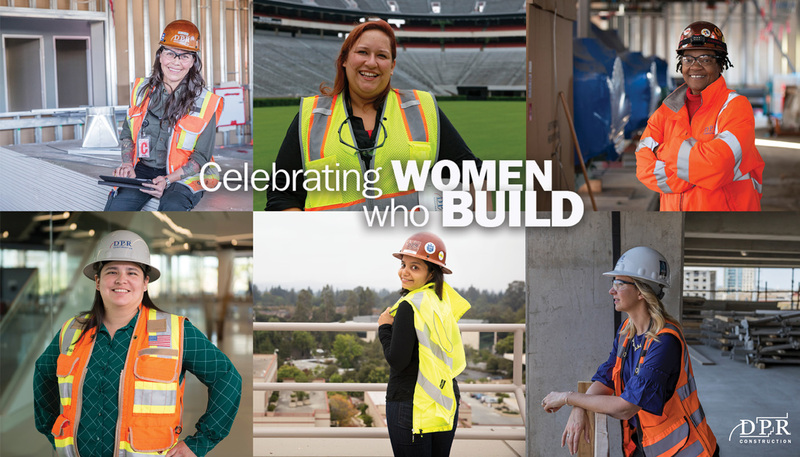 As an architecture and interior design student at Auburn University, Kali Bonnell always asked, “But can you actually build that?” Seeing her natural practicality and interest in constructability, Bonnell’s professors recommended that she look into construction or engineering. Construction made sense to her. 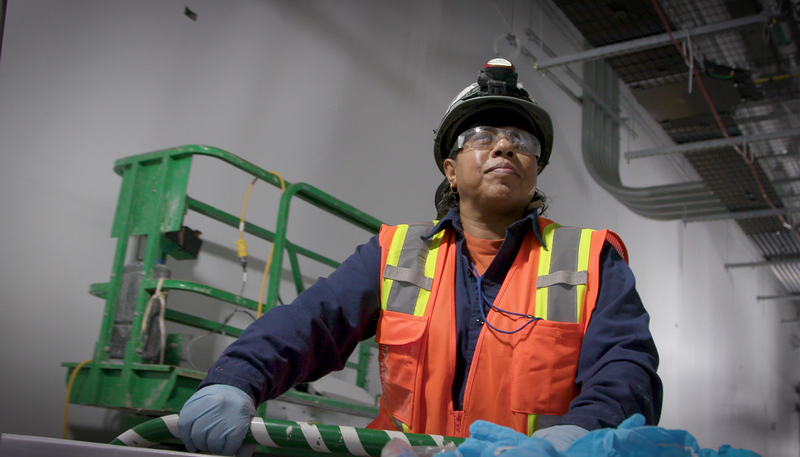 Because her grandfather was an electrician, throughout her childhood, she learned to appreciate all that went into building. 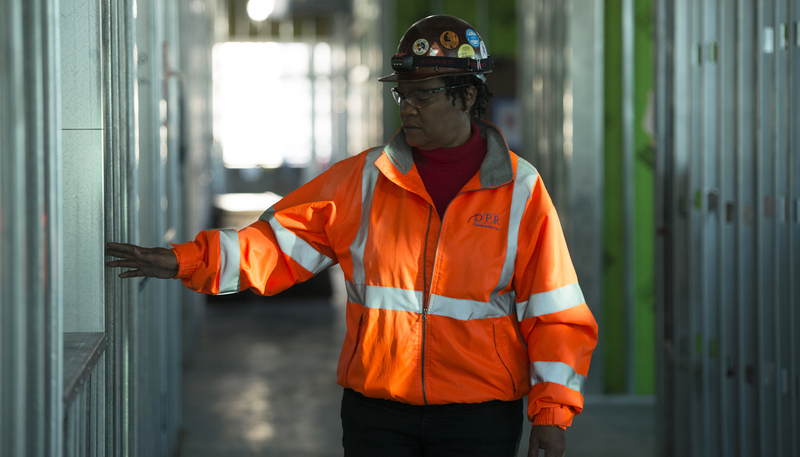 When she fell in love with construction management, she never looked back. Bonnell began her career at DPR in 2008 as an intern in Atlanta. After gaining expertise as a project engineer with DPR’s Special Services Group (SSG), which focuses on small to mid-size projects, Bonnell wanted to experience larger projects and traveled to Clemson, South Carolina to work on Clemson University’s 100,000-sq.-ft. life science facility, designed to support scientific research activities and engage students via training and education. 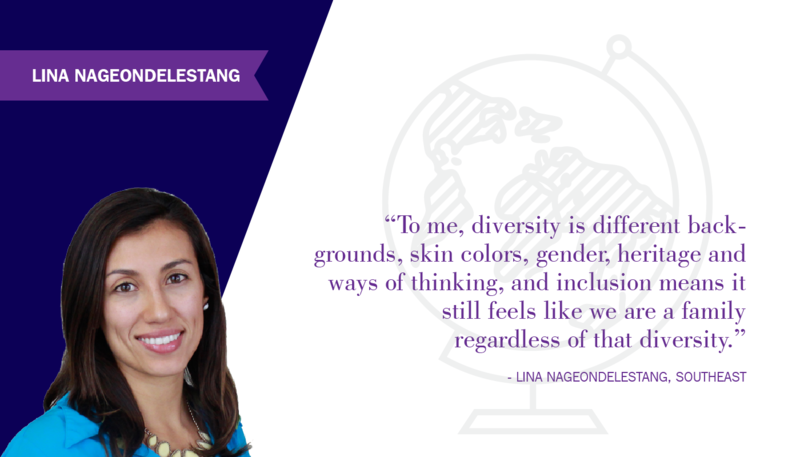 Early in her career, she found her biggest challenge was advocating for herself and feeling confident in what she was saying, especially when others disagreed with her. 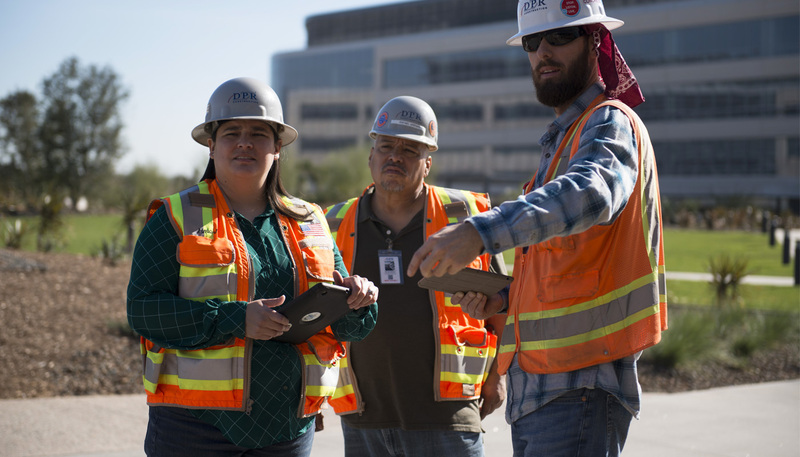 Growing both her skills and her confidence in DPR’s flat organizational structure, Bonnell felt like she had a say in what she was able to work on and how she was able to develop her technical expertise. 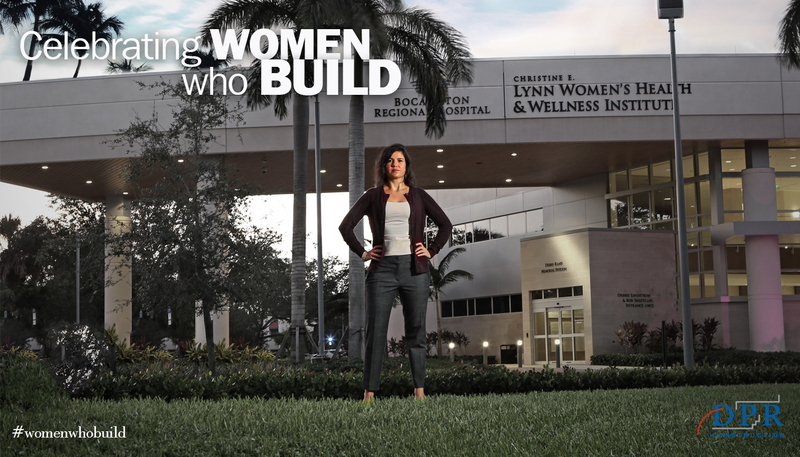 She raised her hand to move to Tampa, then Orlando, to work on advanced tech projects, telling her leadership teams, “let me take this, let me grow, let me learn.” Each opportunity helped build her experience to prepare her for the Boca Raton Regional Hospital Christine E. Lynn Women’s Health and Wellness Institute project, her first job as a full-fledged project manager. 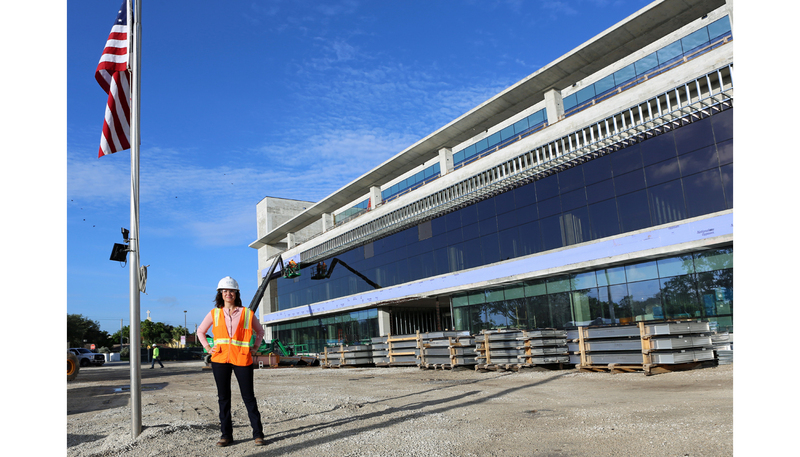 The 90 percent female design-build team of architects, designers, builders and owner’s representatives shared a vision for creating the 45,800-sq.-ft. comprehensive women’s center with the patient in mind. 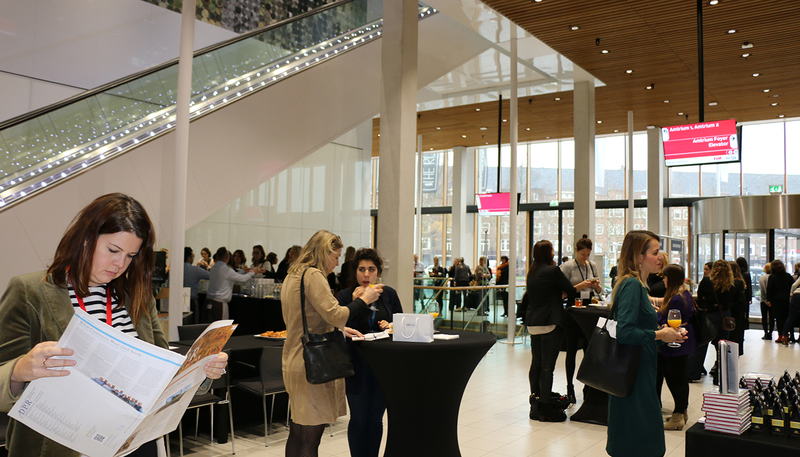 With the institute serving five unique women’s health service lines, each discipline’s professional and personal experiences informed the overall design of the project. 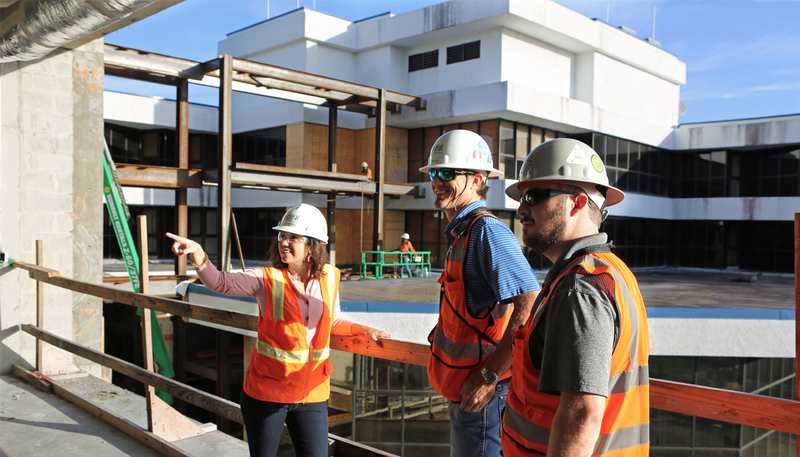 As she is now working on an HCA vertical expansion and central energy plant upgrade that will add two floors to an existing hospital in Florida, Bonnell believes that ultimately, her job comes down to understanding others’ perspectives and intentions. 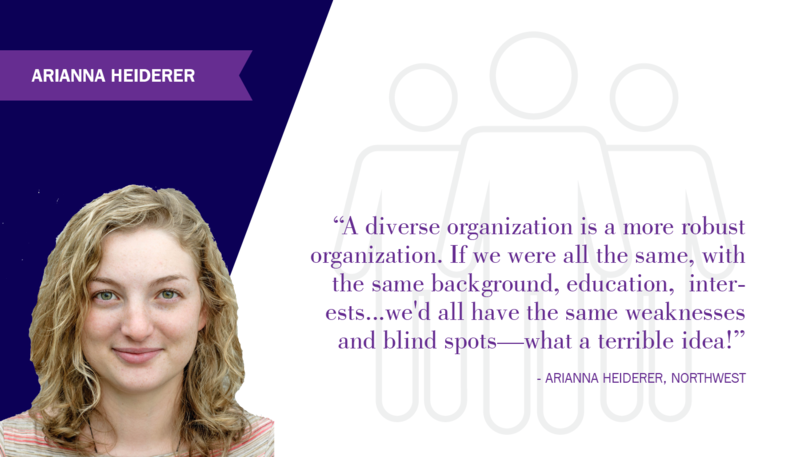 She constantly balances what other team members are planning and thinking to solve problems proactively, instead of reactively–a tenet that has guided her own career path as well. 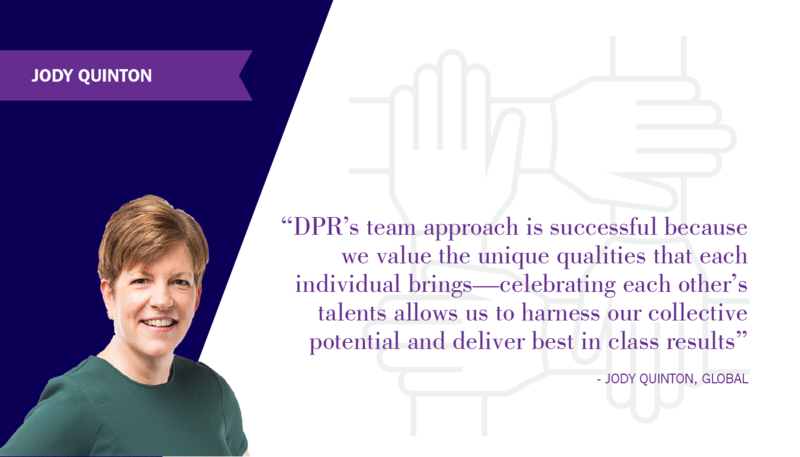 It’s important to Bonnell to foster DPR’s culture even as the organization experiences tremendous growth. 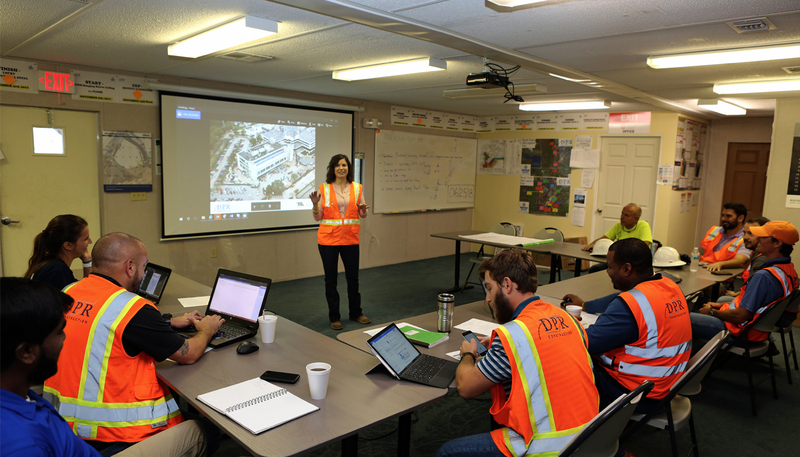 In Ft. Lauderdale, DPR has grown from 20 salaried employees in 2014 to 60 salaried employees in 2017, and increased its revenue from $15 million to $150 million in three years. Helping to spearhead people practices, Bonnell focuses on making sure that people develop and grow, get the correct training and are set up for success. 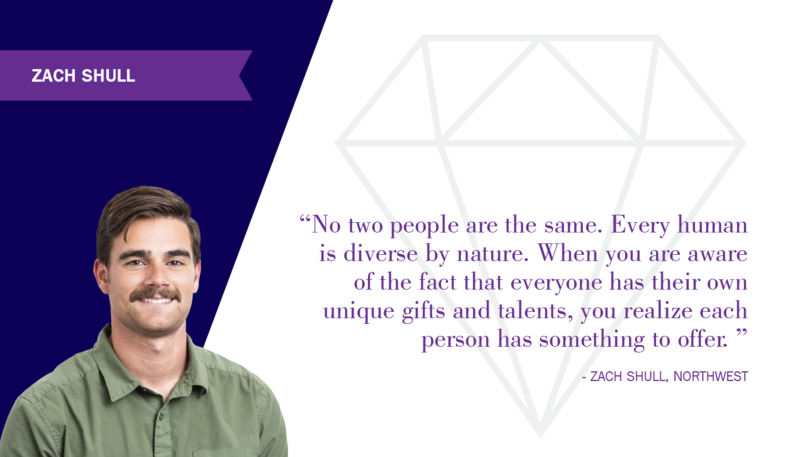 Whether it’s going out to jobsites or talking to teams, she wants each person to know that his or her job is an integral part of building great things. So today, when anyone asks the question, “can we actually build that?” Her answer is: yes. After 1992’s Hurricane Iniki, the strongest and most destructive hurricane to hit the Hawaiian Islands in recorded history, Whitney Dorn (then a construction management major at Cal Poly San Luis Obispo) headed across the Pacific Ocean to help rebuild Kauai. 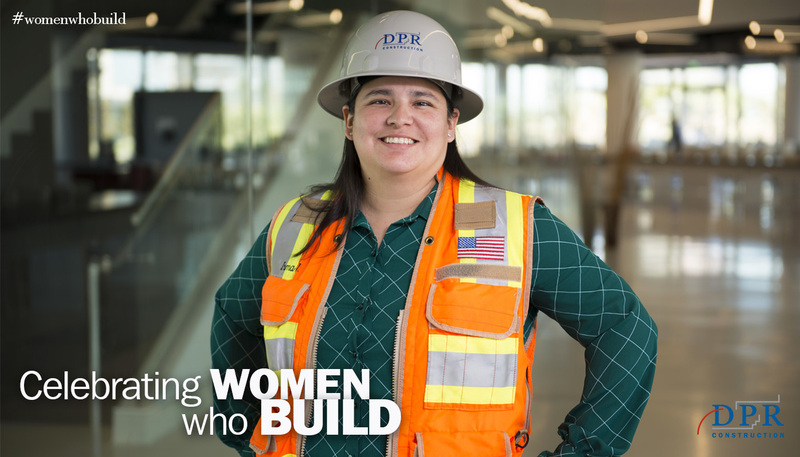 The six months she spent pouring concrete, bending rebar, performing demolition, framing and working as a hod carrier confirmed for her that she was going to school for exactly what she wanted to do for the rest of her career. She wanted to be a builder. 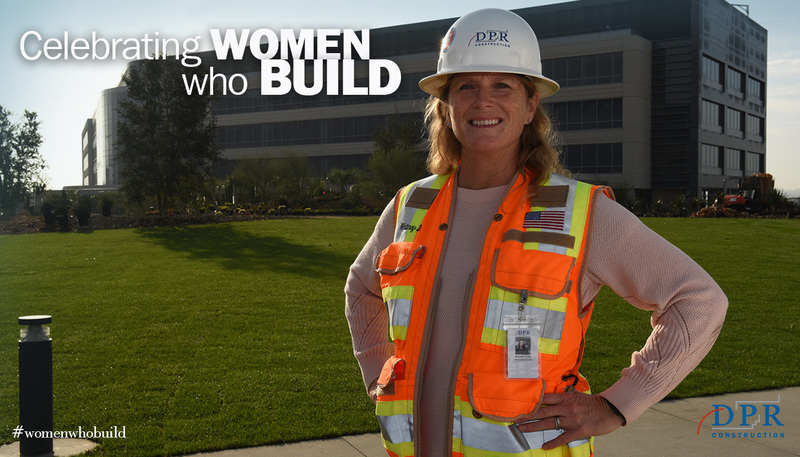 She joined DPR after graduating, and spent the first 15 years of her career in operations. In 2008, she began leading DPR’s sustainability initiative to help customers develop and implement the best strategies through experienced people, a collaborative methodology, and custom tools to address the triple bottom line: environmental, social and economic. 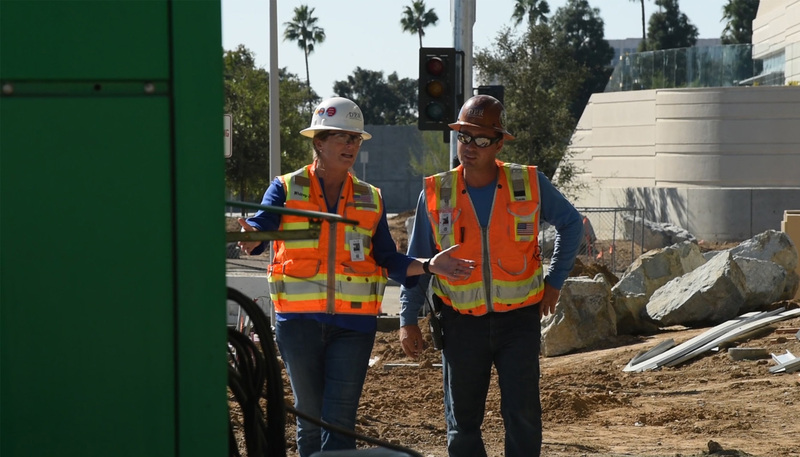 After five years of educating customers and DPR teams about building sustainable structures, Dorn transitioned back to an operations role as a project executive. 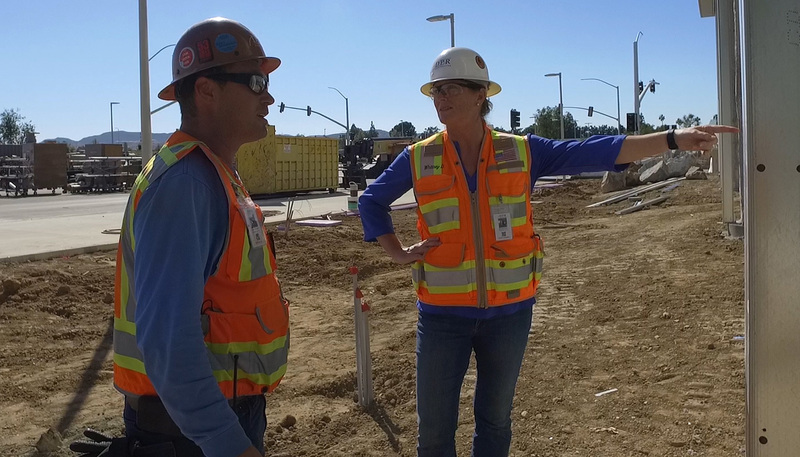 She has since worked on notable projects, including a wireless phone company’s headquarters, Torrey Pines Science Park and a 73-acre corporate campus project in Irvine, California, which is completing in January 2018. 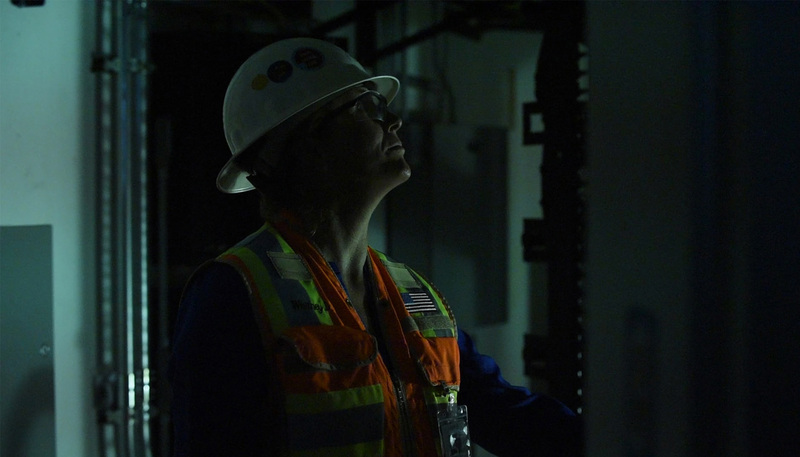 “There’s nothing like being on the jobsite. 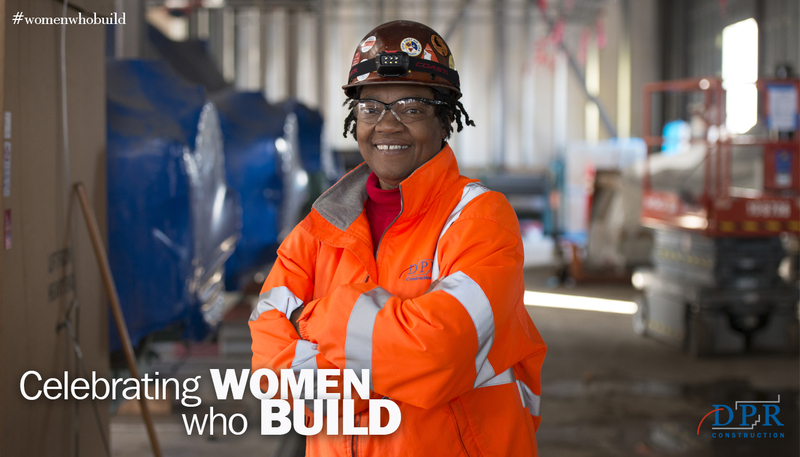 You spend so much time with your team, and you’re not only building great buildings, but building a great team at the same time,” she said. Dorn sees trust and respect as the foundation for any highly functioning team. 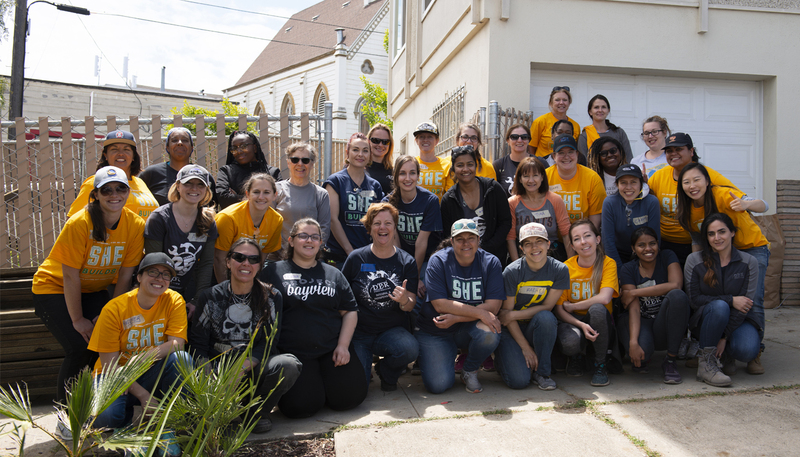 "It’s about respecting what all the different roles on a jobsite bring to the table, abolishing a lack of trust, and figuring out how to move forward in a positive way together." Using a football metaphor, she tells her teams that they can be the running back, and she’ll be the blocker, taking out the obstacles so they can do their best work. She has taken out many of her own obstacles, as well. When she meets her customers for the first time, she often finds that they are expecting a man to run their project. 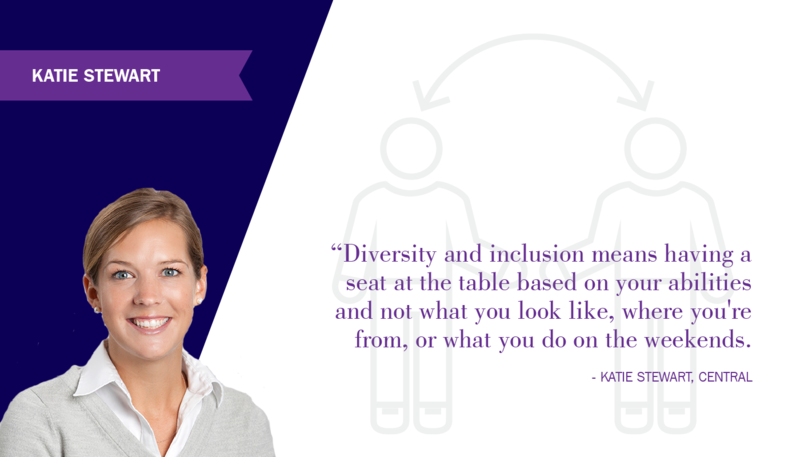 She doesn’t take it personally; she moves forward by never questioning what she brings to the table and uses her own technical expertise to deliver her projects successfully. “I know others are looking at me to see how I deal with situations, particularly the younger women. 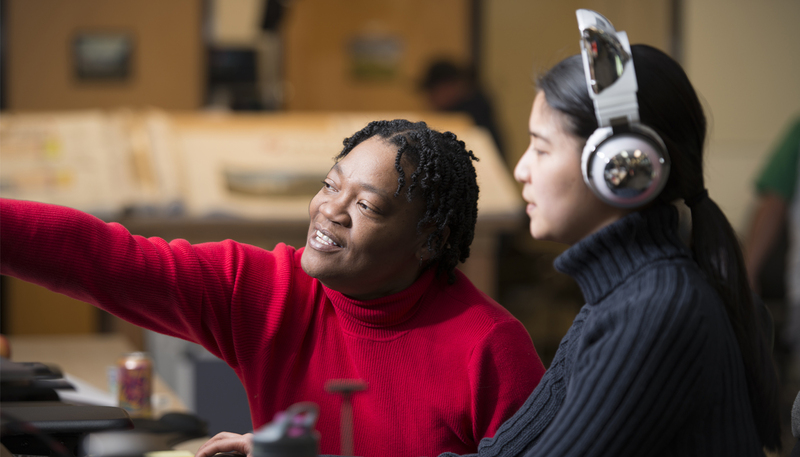 It’s very important to me to set a good example, and give them the confidence that this is a great career, something that they can do and make work for their lives,” she said. Since 2003, Dorn has been mentoring youths through the San Diego ACE Mentor program, and is taking over as chairwoman this upcoming year. 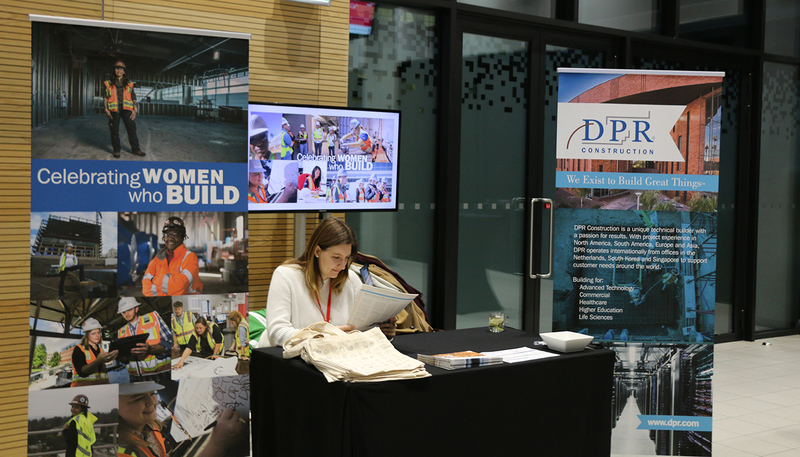 She also participated in DPR’s pilot high school internship program, offering under-resourced yet highly qualified high school students interested in STEM careers real-life professional experience on a jobsite. 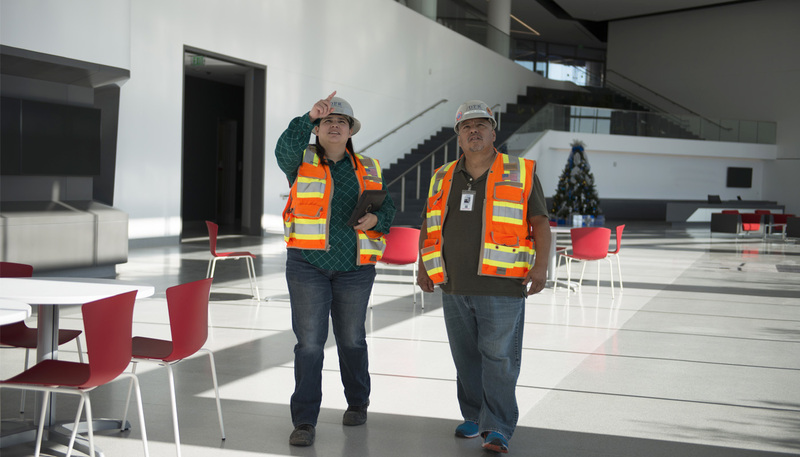 Dorn and other members of her project team mentored Jessica Reynoso, a high schooler from East Los Angeles who wants to become an engineer, exposing her to career paths available in the construction industry. 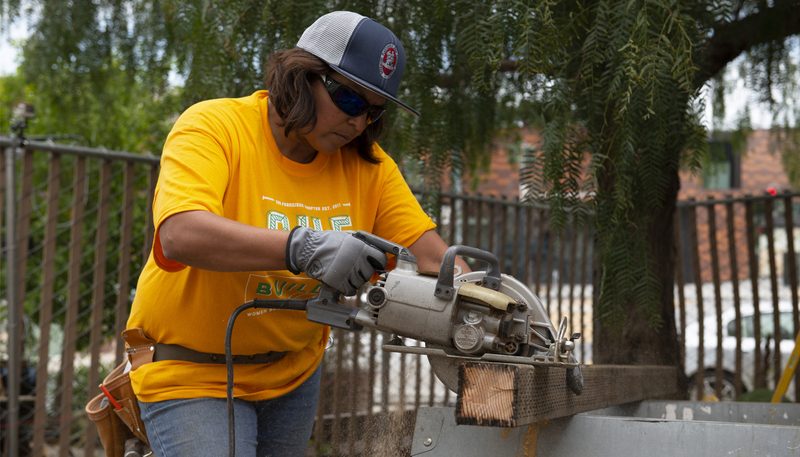 Through her work both “on and off the field,” she hopes the next generation of builders will find their moment–like she did while she was laboring in Kauai. She hopes they can see themselves in this industry, picture the career paths ahead of them, and know that building great things is what they want to do for the rest of their lives.